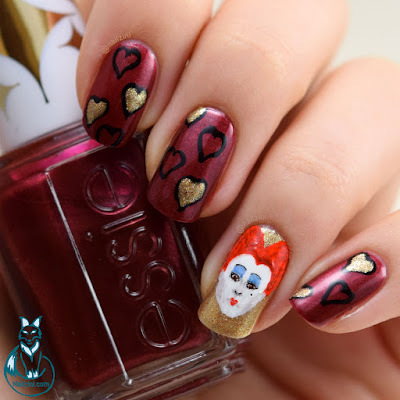 The base is two coats of "Life of the party" from the Retro Revival Collection by Essie. I am absolutely in love with this gorgeous shimmery deep red polish. It might be my favorite red ever! It not only looks good, but is also very easy to apply and pretty much opaque in one coat! (You can see it in my "red queen - hearts" nail art tutorial below) For the accent nails I used two coats of "Nefertiti", which I assume is named after the Egyptian queen Neferneferuaten Nefertiti, by H&M as the base. Since I do so many detailed freehand designs I wanted to create a simple design using only nail polish to accompany the Queen of Hearts. 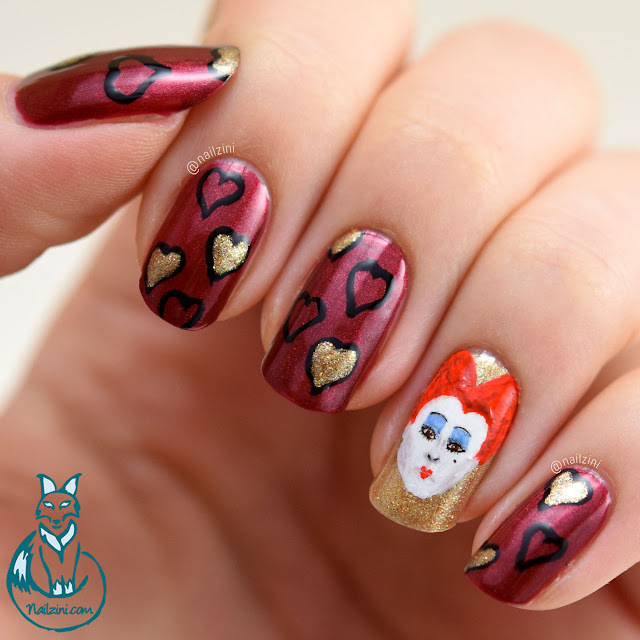 First I outlined the hearts using the "Purecolor 8" brush by Stylish Nail Art Shop and "Neo-Noir" by H&M. Then I filled in some of the hearts using "Nefertiti" by H&M. 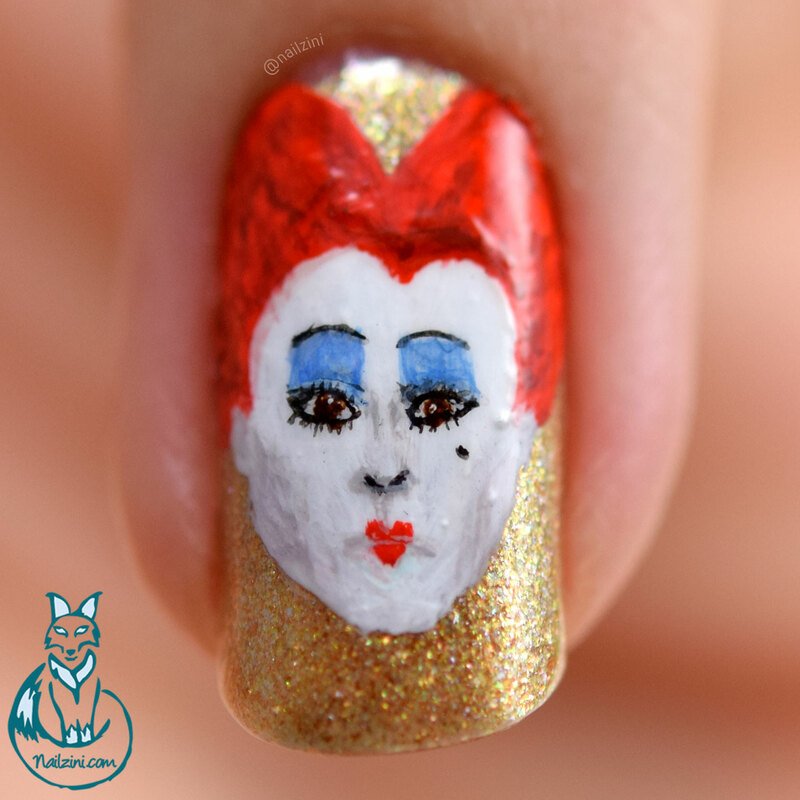 The Red Queen is hand-painted using Jo Sonja's acrylic paint, a small flat brush and "Tartofraises roubloff detail 00" brush by Adnails Manucure. Tutorials for both designs are below, enjoy!